Many of the new CRP contracts require warm season grasses to be planted. Prairie Hills Forestry has several years experience establishing warm season grasses. 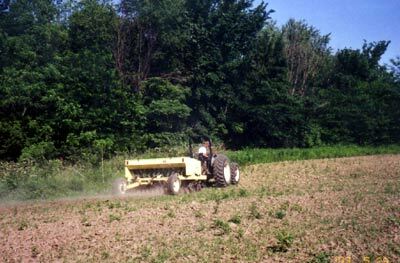 We can provide the landowner with the required seed mix for your warm season grass planting. We also offer the application of PlateauÒ , which is a specialized herbicide developed specifically for prairie applications. A required element of the establishment of prairie grasses is fire. 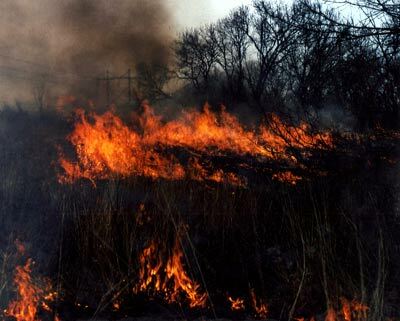 Prescribed burning encourages the growth of prairie plants. Prairie Hills Forestry Consulting offers prescribed burning as one of its many services. We have experience with fire and are ensured for this practice.